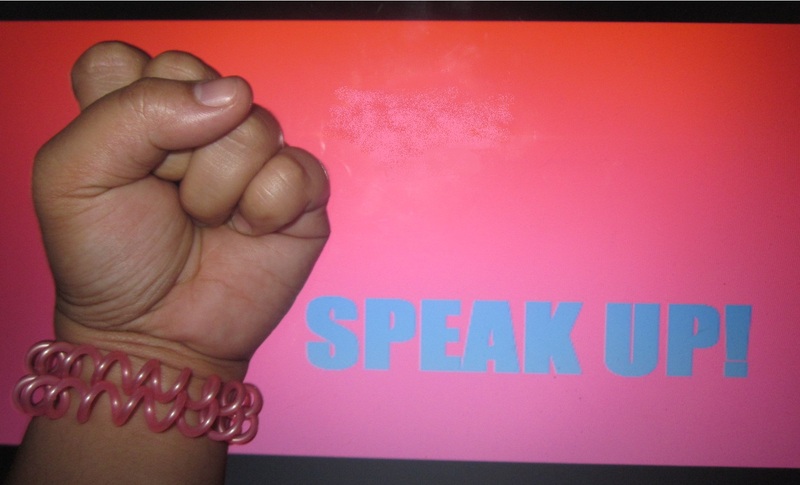 You Deserve Better, So Better SPEAK UP! 2011 was the year that I learned to fight. Not in bad way of fighting, but on how I address the people who tend to criticize me online. I stood upon my principles and did my best to not feel inferior. In the end, they stopped sending me anonymous messages and hate mails slowly decreased. In that instant, I feel empowered and wrote more stories that I hoped would be inspirational to many. 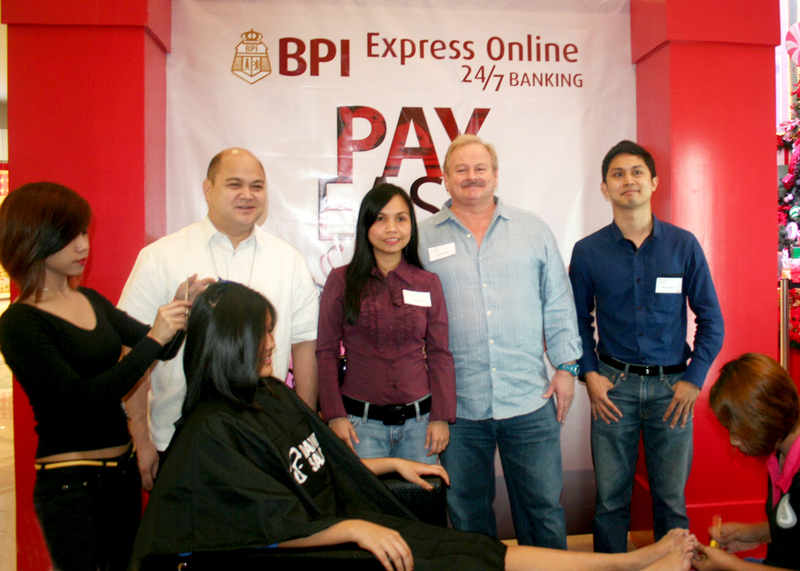 Photo shows (L-R) Carlo Gatuslao, Assistant Vice President, BPI; Anj Mirasol, Senior Manager, BPI; David Charlton, President and CEO, David’s Salon; and Patrick Zulueta, Marketing Manager, BPI. When we were younger, we’d often say “Time is gold” as our motto. As we all mature, we come to realize the value of time during our work. 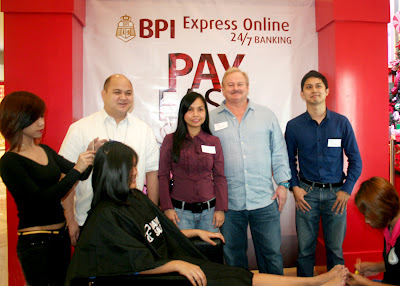 With the Bank of the Philippine Islands (BPI), the country’s leader in electronic banking, and their Express Online Bills Payment Facility, you can get the chance to have more “me time” at David’s Salon with their “Pay Easy, Be Gorgeous” treat to their valued clients. 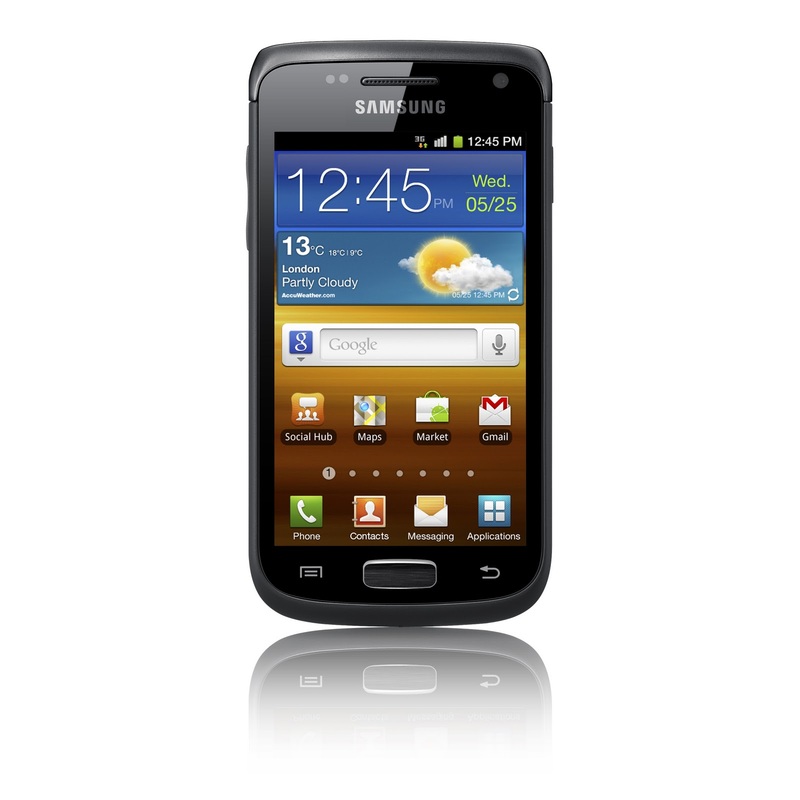 Samsung wants you to "Live Fast, Live Smart" with the new smartphone, the Samsung Galaxy W, with smarter and faster features that is built to fit your rapid paced lifestyle. Be a member of Reebonz and get awesome designer brand deals! ﻿﻿﻿﻿﻿﻿Anyone can attest that shoes are my first love. If clothes doesn't fit, then it all boils down to buying every single pair I want. But whenever my friends from the States would post about pictures of sample sales of Christian Louboutin, Jimmy Choo or Prada, I feel green with envy. I always wish they would bring something like that here. And then, my first wish was granted! I discovered Reebonz! Last year, I found out that I have polycystic ovarian syndrome. Before I even undergo the ultrasound test, my OB-GYNE told me that one of its visible signs is acne. In my teenage years, I rarely get them so it was an ordeal for me to fight off this skin problem. Since then, I admired celebrities that have clear and smooth skin and tried to discover why they don’t have problems in maintaining them. Then finally, I learned that one of my idols, Katy Perry, uses the faster and gentler Proactiv Solution. Its only a few days more until Christmas! I am a certified child at heart. At 26, I still believe in Santa Claus, reindeer and elves. Silly right? That is why for our Christmas Party, what better way to portray Santa than to copy his clothes' colors. 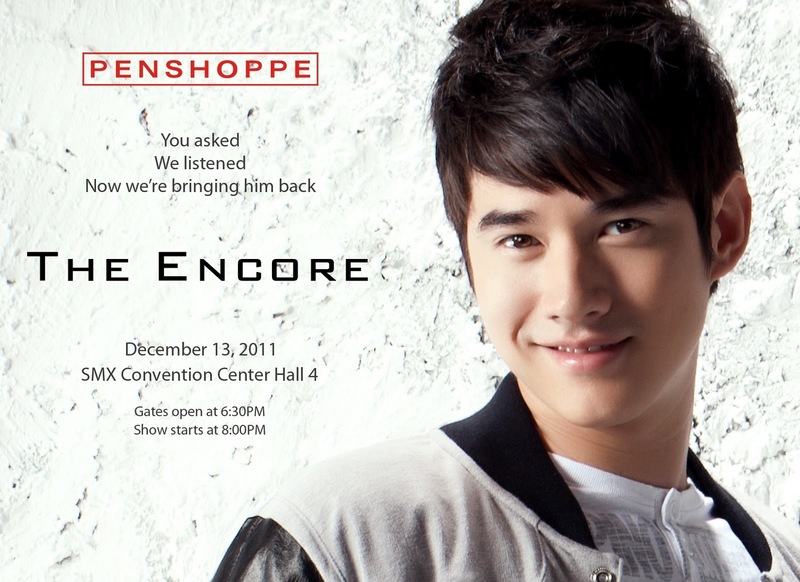 Mario Maurer's Back in Town! Since his movie, "A Crazy Little Thing Called Love" as P'Shone, I've been a fan of the Mario-Fern team up. Mostly because we can all relate to their love story and the things they do during high school. That's why when Jonel asked me to cover this event tomorrow for CosmoManila, I said yes, in a heartbeat! 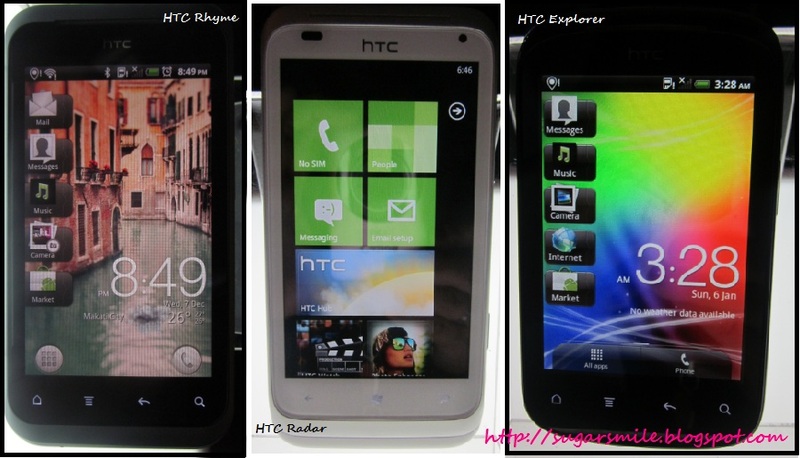 Before the year ends, HTC threw a party last Wednesday at the Skye Lounge, W High Street Building at The Fort. 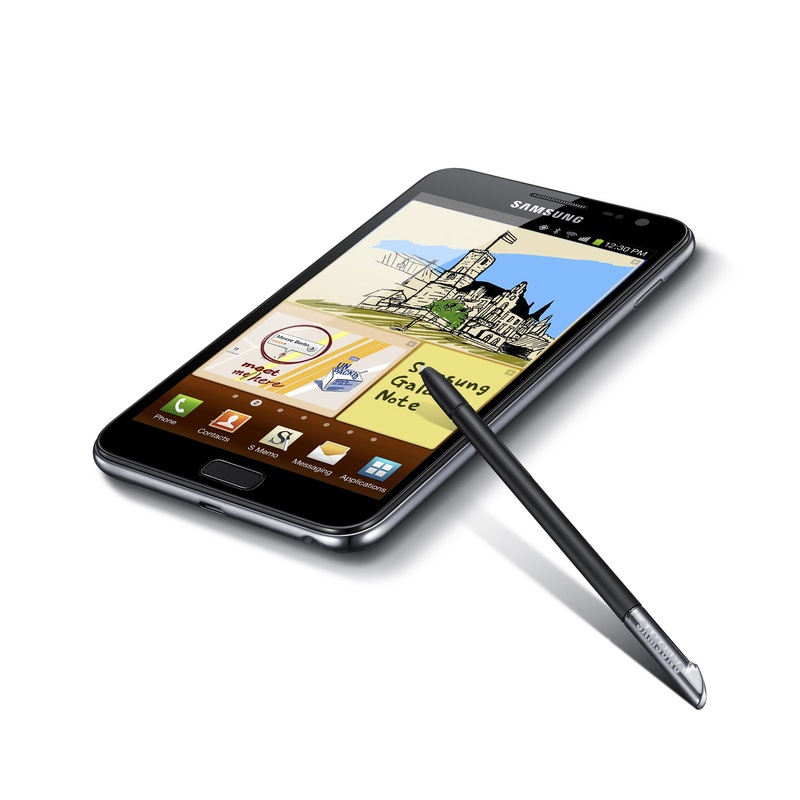 This also marks the launch of their three newest smartphones, Rhyme, Radar and Explorer, completing the release of nine products for 2011. Its a Lucky, Lucky December for this BDJ Girl! ﻿﻿As a certified Bella, I always blog the latest about my favorite planner in the world, the Belle de Jour Power Planner :) So after its launch this October, I turned in a review of the 2012 planner because I was raving about it. Up to the point that I am actually wishing that the new year would come already so I could finally use it. Luckily, they held a contest where have to blog about it, so I sent my entry. I love Prive! No, I didn't turn out to be a party girl over night, but I loved their establishment that it enables me to take pictures in nice backgrounds. :) But of course, the girls and I happened to pose the night away because we were all drunk from the tequila shots that we consumed. 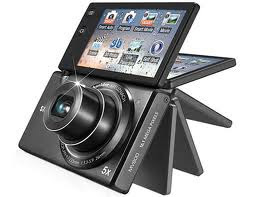 But anyhow, this is what I wore during the Smart X Nokia N9 launch. 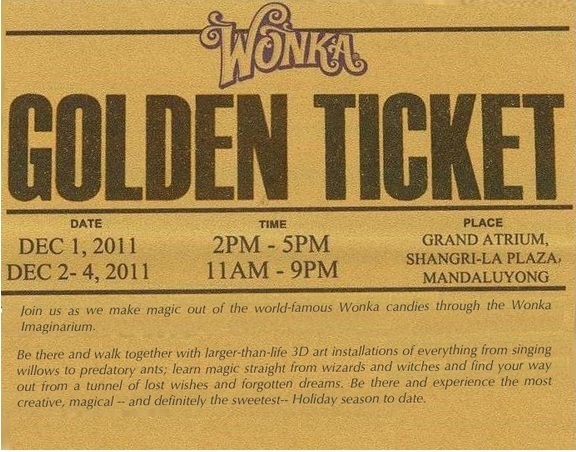 Remember the movie Willy Wonka and the Chocolate Factory? Well, his Imaginarium is in a frenzy and the only way to turn the lost wishes and forgotten dreams into the happiest of all candies, is to find the magical rainbow. 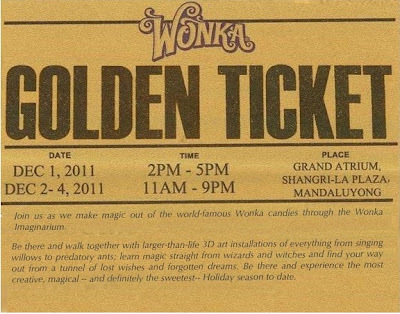 So from December 1-4, Candy Corner, in partnership with Wonka invites us to the doors of an enchanted factory that harvests dreams and turns them into candies! Our company's Christmas Party's going to be held early this month and our theme is "Naughty or Nice". I kind of stuck with the peg for nice since I'm more of a naughty girl. Thought I'd be nice this time :) I wouldn't post my dress just yet, so I'll start with my newly done nails (by yours truly, Yay!) for now. Its the first day of December! But I remembered how my friend Helen and I partied last 11-11-11 at the Smart X HTC X Beats launch at RepubliQ and wore my favorite little black dress that I bought circa 2008. The Meralco Compound lights up again! Every Christmas season, I would wait for the Meralco Compound to light up and see the spectacular lights and decorations. Last year, I enjoyed the Christmas village with my friends since my office is near the Meralco premises. This November 25, Meralco has opened its Liwanag Park once again for everyone to enjoy and even launched its Maliwanag Ang Pasko Program for the less fortunate children. 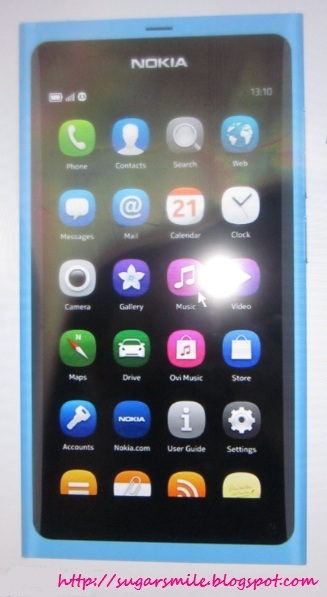 I got the first dibs at Nokia N9! 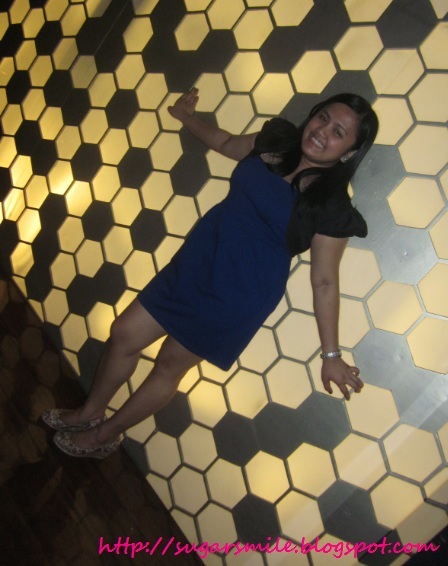 Thanks to Jonel Uy of BloggerManila﻿, I had the chance to attend the launch last November 21 at Prive, The Fort. As expected, the new all-screen smartphone of Nokia, powered by Smart Telecommunications, is packed with awesome features and a high performing device. To say that I haven't been a fan of the Twilight Saga is a lie. Yes, I have succumbed to the Edward-Bella-Jacob love triangle for a year or two. All because of the ex-boyfriend who told me it has the "BEST STORY EVER!" Now I couldn't believe I fell for that. Now watching the movie isn't really bad. I have envisioned the scenes in my head and I guess if you haven't read the book yet, you wouldn't miss that much anyway. You just have to sit back, relax, and get dumbfounded that vampires can get a girl (human) pregnant. 11-11-11 has become a legendary day. Too many events have been buzzing around town and I just had to party that night. 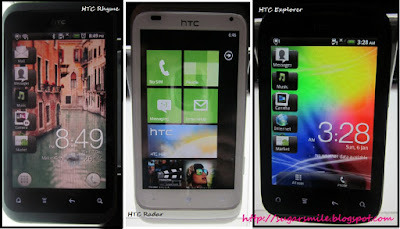 Good thing my friend Helen invited me to go to RepubliQ for the HTC Sensation XE and XL with Beats Audio launch. Send in your entries until November 30! 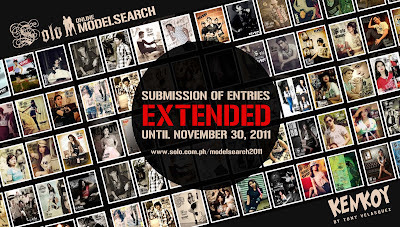 Due to insistent popular demand, SOLO is extending the Search for its next faces this 2012. Last August, ﻿SOLO launched its second Pinoy Cartoonist Memorabilia with Tony Velasquez's Kenkoy and simultaneously announced the 2012 Online Model Search. With the extended submission date, you can still send in your entries until November 30 and vote for your favorite faces up to December 2. Feiyue in Chinese means "Flying Forward"
During one of my shopping sessions with the boyfriend, he asked why I would buy more shoes instead of clothes. Then my usual answer came: My shoe size doesn’t embarrass me, whenever I fit on clothes, they’re usually not in my size that I end up being disappointed after trying them on. But with shoes, it doesn’t matter if I’m in a Large or XL, these size 6 footsies always remain that way. And because I am at ease with shoes, Euro footwear, Feiyue Sneakers are now here in the Philippine shores to bring style and comfort to those who would wear them. The morning before the Feiyue launch, Earth informed me that I would be going to Opus to cover the event. I gladly took the invite since I won’t be going anywhere else that day and the boyfriend is out of town. But afterwards, I forgot that I don’t have extra clothes with me and since I have work during the day, I am again, in my uniform. When it comes to my planner and journals, I must say that I am an obsessive compulsive freak. Seriously! The fact that I have a planner (and I bring it EVERYDAY, EVERYWHERE!) says a lot about my OCD. I even use colored pens in every page and try to be as creative as possible. Be One of the Select Few. Own the All-New Samsung Galaxy Note! I love nail art! Lucky for me, we had a free nail art session last Thursday during the GMA News TV Network's "Free Time". When we had to choose between manual or automatic, my friends and I chose the automatic because it looks fun and we had so many designs to choose from. So now I present you, Sumthin' Nails, the newest way to have cool and funky nails. I first heard Marié Digby during one of my Youtube browsing sessions at home. When it was the peak of Rihanna’s “Umbrella”, she made an acoustic version of the sone and I was simply in awe. And when she released her first single “Say It Again” under her debut album “Unfold”, I was sure that I am already a fan. I was even playing her songs “Bring Me Love” and “Breathing Underwater” over and over again. 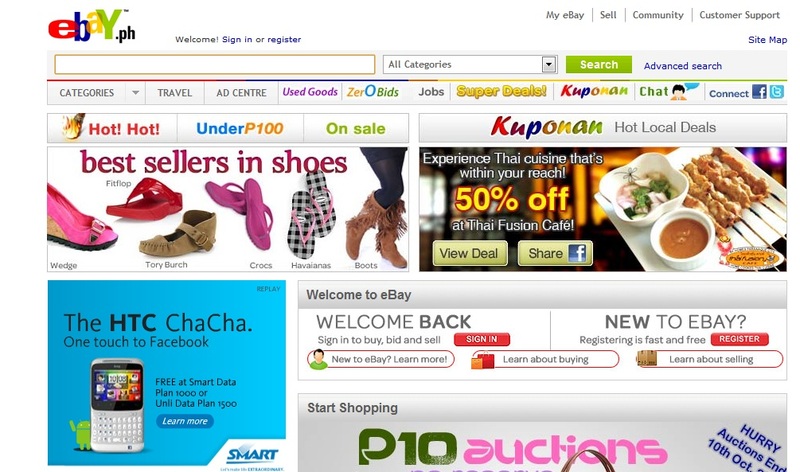 Happy Selling and Shopping at Multiply Marketplace! 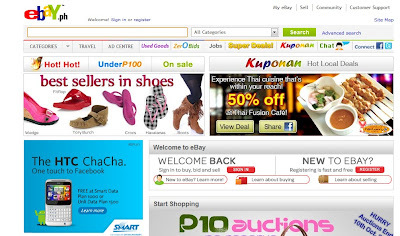 Aside from my blog here in Blogger, I found my second home in Multiply.com. As time progresses, I've seen myself buying books, swimsuits and the like at the site. It was the haven for sellers and I always love the featured products that I had so many Multiply Seller friends. And during those days, I had to go to the nearest bank or pay the seller when I meet up with him/her. 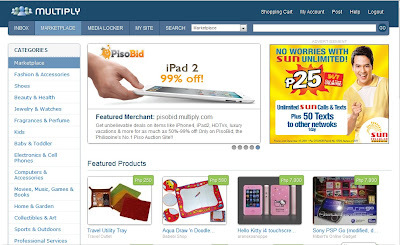 Today, Multiply Marketplace has reinvented and they now have different payment options and easy ways to buy the products that I want! 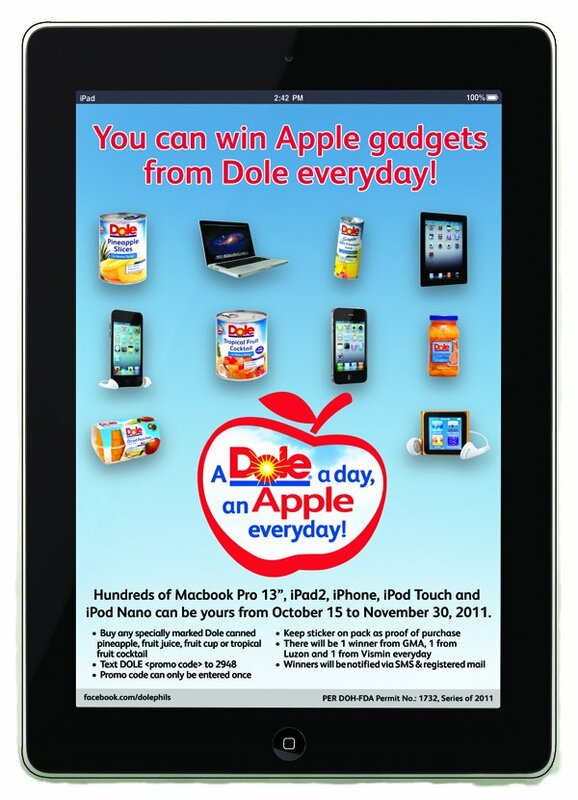 Dole Keeps You Healthy with an APPLE! I love Dole Philippines Products when it started with the Dole Cavendish Bananas. Now, they are treating us to a gadget extravaganza with Dole Pineapple Slices, Chunks, Tidbits, Crushed, Dole Tropical Fruit Cocktail, Dole Fruit Juices and Dole Fruit Jars where you can win Apple Products like a Macbook, iPad2, iPhone, iPod Touch and iPod Nano! Since the movie 2012, I have been wondering when will the world really end. Instead of worrying, wouldn't it be nice if we start living and enjoy our lives to the fullest? But if you, say, are given only a few days to spend your life, what would you do? Let's imagine that the widget on the right side of my blog is the Earth's countdown counter, what would your bucket list include before it runs out? Presenting the 2012 BDJ Planner! Four years ago, I glanced upon Belle De Jour Power Planner in one of my Cosmopolitan Magazines. At that time, I was using a refillable planner that was given to me by my friend during high school and I would just buy paper refills from Tickles and Personalize Me. It was useful for a moment but I got tired of looking at the same thing over and over again. So when I can finally get the chance to buy a BDJ Planner (where they sold at CBTL Greenbelt on a weekday), I dragged my then-boyfriend to Makati because I was determined to have one. And since then, I was a convert! I just had to buy my yearly planners from them. Yeng Constantino Launches Yeng Versions Live! I have always been a fan of Yeng Constantino since her Pinoy Dream Academy days. So when Orange Magazine TV asked me to cover the press launch of her newest album, Yeng Versions Live!, at RaiRai Ken, SM North EDSA, The Block, last October 13, I didn’t hesitated a bit. I know I just had to go. I love polo blouses and comfy hues on clothes. During Blogapalooza, Regatta gave away leisure wear shirts for everyone to enjoy. 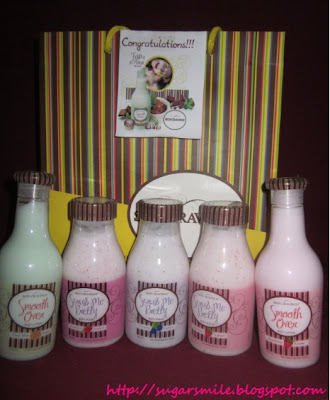 And now, their pre-holiday Countryside Collection are available at their stores for the Earth loving fashionistas. I heard about Human ♥ Nature during the Blogapalooza last month. I was caught by their Pro-Philippines, Pro-Poor and Pro-Environment advocacies and the fact that their products are purely organic, all natural and no harmful chemicals. SEOUL, Korea – September 25th, 2011 – Samsung Electronics Co., Ltd, a global leader in digital media and digital convergence technologies, today announced that the Samsung GALAXY S II (Model: GT-I9100) has achieved 10 million global channel sales, doubling from five million in just eight weeks. The successful re-launch of Orange Magazine TV was very well attended by bloggers and PR partners last Saturday at Gweilos Bar, SM Mall of Asia. This event was to celebrate the new and improved site of Orange Magazine TV. Fun, food and drinks were served as this is just like a mini-reunion for bloggers and soon-to-be contributors. ﻿Jeman Villanueva, Editor, started Orange Magazine TV on July 2010. He wanted to create an online magazine which features events, lifestyle, sports, music and the like. Since then, they have 13,000 online followers on Facebook and 400 on Twitter. As Orange Magazine TV expands its network, they also invite bloggers to get involved in writing of the site. Via exclusive invites from the team, bloggers could highlight the content for Orange Magazine TV while promoting the blogger's URL. Thanks to Orange Magazine TV for hosting this fun event. It also wouldnt be possible without the sponsors namely: Perlas and Luna PR Group, Brandspeak Asia, StratWorks, Cando and Florenda Martketing and PR Consultancy, Campaigns and Grey, No Seat Affair!, Dole, MCA Music Inc., Universal Records, PolyEast Records, FMCC, BND, Hair Gallery, 6000Goonz, WoW! 103.5 FM, Clara International and Benmore. I am such an obsessive compulsive person. Whenever I see tape marks on walls when I put something at it, I get so worried that I had to fix it immediately. But sometimes, I'm afraid to use tacks because it might ruin my space. 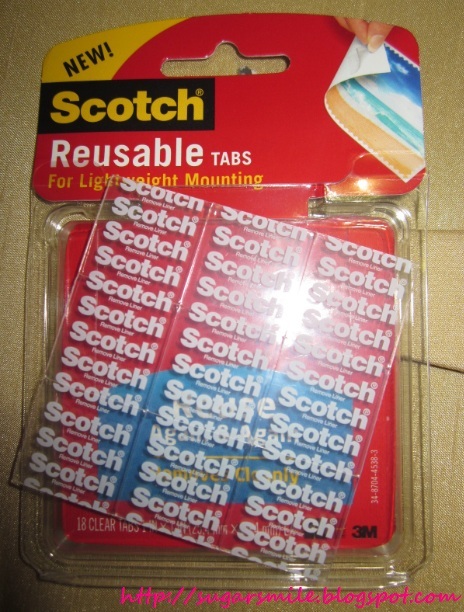 Thankfully, 3M Philippines, makers of Post-It® and Scotch® now has reusable tabs for all my decorating problems. They all look so cute and yummy! 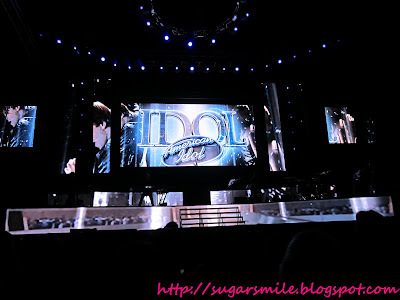 I am still in awe and star stuck after the American Idol Live Tour 2011 last Wednesday at the Smart Araneta Coliseum. Thanks to Kara, I had the chance to score front row seats and see the American Idol 10 Finalists THAT close. Starting from their stage and visual effects, its almost as if you're watching at the American Idol studio. The place was so packed and we were so excited to see the performances. 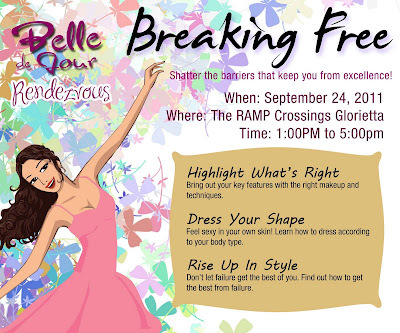 Just when I thought Happy Hour was their last rendezvous for this year, Belle De Jour Power Planner invites their favorite bellas again to an afternoon filled with fun, learning and style. The Blogapalooza last Saturday at the Fully Booked Bonifacio High Street was indeed a smashing success! The 150 bloggers and thirty plus businesses equals a whole lot of fun and networking among everyone. Kudos to When in Manila and DJ Vince Golangco for organizing this event, and thank you to Azrael for the invite. One of the strong contenders during the Top 10 Finalists, Ms. ﻿Angola was crowned this year's Miss Universe. After watching them all compete, I do believe she deserves to be the winner. To be perfectly fair, this year's pageant proved to have the best Top 5 finalists and answers to the questions. The top 10 also includes: Laury Thilleman (France), Shamcey Supsup (Philippines), Zilin Luo (China), Sherri-Lee Biggs (Australia), Priscila Machado (Brazil), Olesya Stefanko (Ukraine), Sheldry Saez (Panama), Johanna Solano (Costa Rica), and Laura Goncalves (Portugal). September Brings Our Favorite TV Series Back! Aside from the fact that it is my birthday month, I LOVE ﻿September because four of my favorite TV series will premiere its new seasons once again. After almost three months of waiting, How I Met Your Mother, Glee Grey's Anatomy and Gossip Girl will open to their viewers to provide joy, drama and stories that matter. Sweet - that's how I always wanted to be perceived by everyone. And even in beauty products and fragrances, it is important for me to smell as sweet as I could be. That's why I am loving ORLY's Sweet Sheer Radiance Hand and Body Lotion. I've always loved Julia Roberts' movies. 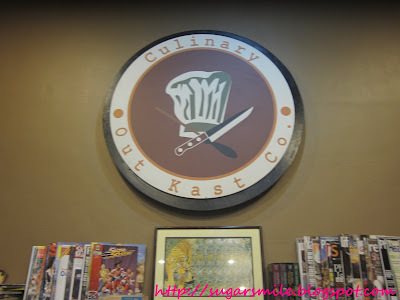 And when the boyfriend and I had dinner at Culinary Out Kast (C.O.K) at Banawe, I felt as if I'm breathing her two movies that night, Notting Hill (because of the books)and Eat, Pray, Love (because of the food!). You see, C.O.K. 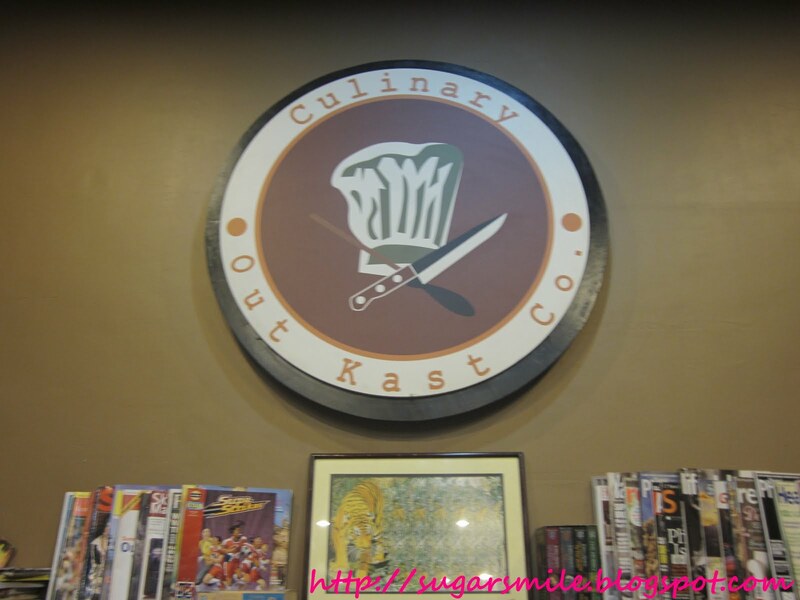 is not your ordinary type of restaurant, maybe because there's lots of things you can do there besides eating. Jeff and I have only been together for a year and four months, but he's already known all the best of me. I guess I kind of opened up to him everything about me because we were total strangers when we first met each other. And although most part of my life consists of being a lovestruck naive girl, he never grew tired of listening to my stories, no matter how much of a bore they were. 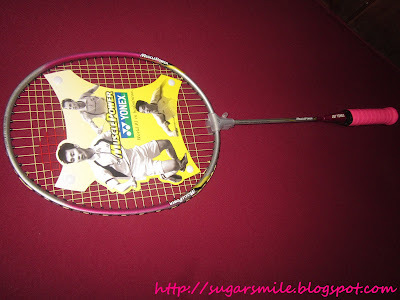 That is why I super loved his gift - a PINK Yonex Muscle Power 2 Badminton racket, because I keep on complaining that I needed to lose weight. And now, I need to double up on my the workout because the holidays are fast approaching once again.